I'm a fat girl that exercises. That's not unusual, lots of fat people exercise, lots of fat people are fit. I can barely be bothered to hammer this point home because its a fact. I'm fat, I work out, I'm healthy. End of story. The types of exercise I do are zumba,yoga,walking and a Davina DVD which proves once and for all that Ms Mcall is actually a sadist. One exercise I've never really got into is running. I've tried it out a few times but didn't really enjoy it. Its hard. Runners are the bad asses of the keep fit world in my opinion, the rockstars. Running is all about stamina, endurance and really committing. This vaguely scares me. Another reason I think I never really took to running was because without realising it I brought into the notion that my top heavy short round body was not quite the stuff that runners are made of. When these guys first approached me I was hesitant as I wondered if it wasn't vaguely patronising to have a website and blog created under the premise that fat women need specialist advice to run. Sure our legs may be fatter but the basic idea is the same isnt it? 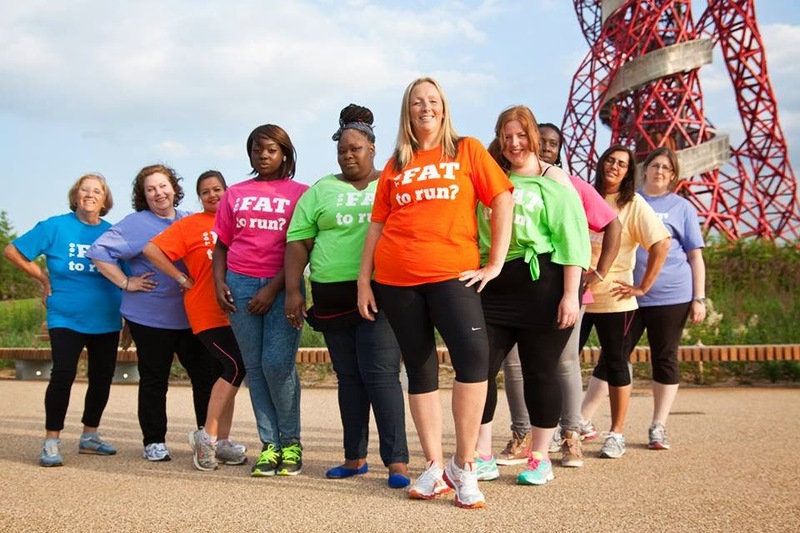 Once I looked into the site though I realised it was actually all about empowering plus size women who may feel too self concious to start running. "Sod other sneering runners, running clubs that leave you behind and idiots who shout abuse – collectively we are on a mission to show that Fat girls run too!!" 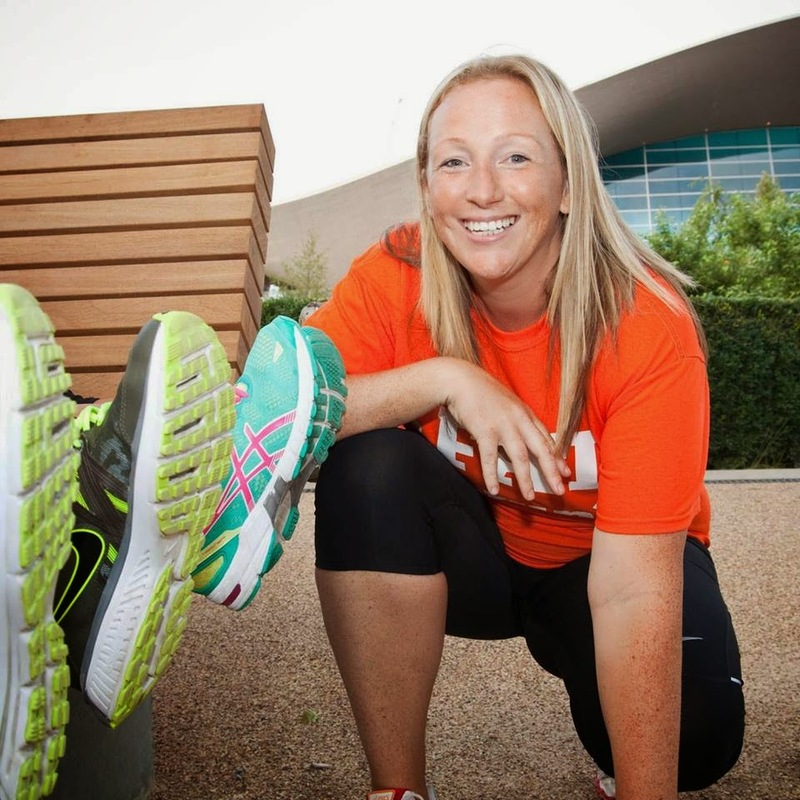 To this end Julie teaches workshops, organises Big fat run events and campaigns to brands to get more sportswear created in bigger sizes. Her blog is also full of tips on how to get started if your trainers are itching to be taken out for a spin. Will I take up running? I'm not sure, simply because I love zumba and yoga so much and its taken me years to find activities which get my heart beating fast and which I look forward to as a treat rather than a chore but if you are considering pounding the pavements and are reluctant because of your size check out "The fat girls guide to running" blog for tons of information,motivation and some rather cool tee shirts.